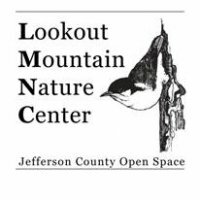 Lookout Mountain Nature Center creates awareness, understanding, and conservation of Jefferson County's open spaces through year-round educational programs and exhibits. Connect with nature at this 110-acre park. Inside experience exhibits that depict migrating birds and reveal secrets of the ponderosa pine forest. Visit the Discovery Corner and Observation Room. Outside stroll trails winding through forest and meadow, picnic beneath towering pine trees or join a naturalist-guided program. Visit our website for more information or Follow us on Facebook and Twitter.